Please arrive on site on Waterdale outside the Council building between 11.30am – 12.30pm (You can at this time finish off decorating your Vehicle if you need to). If you arrive late you may not be allowed to take part in the procession. On arrival, please report to the Doncaster Pride marshal. You will then be placed in your position for the procession which will depart at 1pm. From Waterdale we turn left onto Wood Street then left onto Cleveland Street then right onto Duke Street then right onto St Sepulchre Gate then turn right onto High Street then right onto Cleveland Street (this is a very sharp turn) then left onto Wood Street and finally back onto Waterdale. The speed of your vehicle will not exceed 1.5mph during the procession. Please make sure your driver is aware of this. Please make sure your driver keeps a mininmum distance between the vehicle and any people/vehicles in front, at all times. Once back onto Waterdale, please park your vehicle along the front of the council building as directed by the Doncaster Pride marshal. 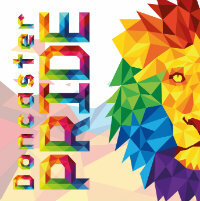 Note: By sending in this Doncaster Pride Procession of Unity Application Form, you are agreeing that you have read and fully understand the Vehicles Technical Specification and Health & Safety Requirements Document and agree to abide by the contents. Failure to do so may mean your Vehicle is withdrawn from the procession. 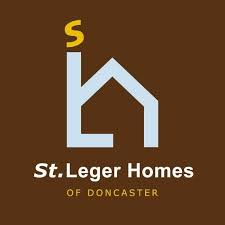 Thank you for your Support and Doncaster Pride hope you enjoy the Procession of Unity. How Will You Decorate Your Vehicle? Will your Vehicle be playing music? Will your Vehicle be handing out leaflets/giveaways? If Yes to the above questions, what will they be?